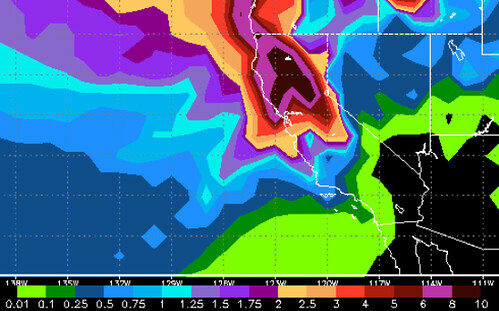 Northern California is about to be hit with what's likely to be the biggest storm of the season. The region has had three snowfalls that lasted around three days each so far, and this storm looks like it will hit the area with the longest stretch of back-to-back storms and moisture the state has seen this season. According to Tahoe Weather Discussion, the storm is to hit Northern California at the start of the week and will slowly move south toward Central California during the second half of the week. Between one and three inches is projected to fall Sunday night, then will start again Monday night and continue into Tuesday. Light snow is expected to fall continuously through Thursday above 7,500 feet and by that time, forecasters are expecting 2-3 feet of snow above 7,500 feet. The big storm is projected to move in on Thursday into Friday. Although it is still early for forecasting, they are expecting 2-3 feet in the basin and 3-4 along the crest. It’s looking like [R285R, Mt Shasta] and Lassen could receive between six and 10 feet this week. Tahoe Weather Discussion also noted the storms could push into next weekend, as well as the following week. If that doesn’t bring a smile to your face, I don’t know what will. Storms that measure in feet rather than inches are what Northern and Central California ski resorts are used to, so skiers and snowboarders rejoice. 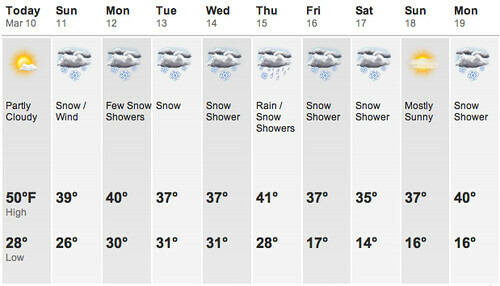 This is the kind of storm skiers and snowboarders have been impatiently waiting for.